It takes a lot to ruin my mood on Selection Sunday. Right or wrong, win or lose, I get my life back Monday, and that’s a beautiful thing. I’ve also adopted a personal philosophy in recent years to avoid crying about NCAA selection and seeding results. There’s no way it doesn’t come across as sour grapes, and I continue to have tremendous respect for all committee members and the unseen hours they devote to our sport and its championship tournament. But the committee’s performance is slipping, year over year, and it’s also my job to point that out when necessary. Put aside my three misses for a moment -- Vanderbilt (perfectly reasonable selection), Syracuse (borderline at best) and Tulsa (indefensible by every known standard) -- and what you have is a selection and bracketing process that appears to have gone off the rails. Playing Tournament Challenge? Don't forget to check your brackets! Bracket busted? 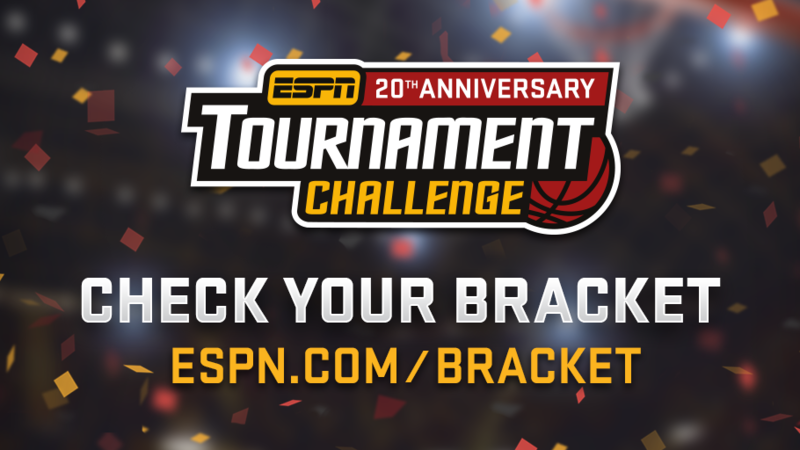 We have you covered with a Second Chance Bracket! I say every year that I study my misses in the offseason and almost always come away with, “I can see where they were going with that.” On the golf course in the spring or the beach in the summer, when asked, I’ll gladly admit “they had a point” or “at least they were consistent on this or that,” even if we disagreed on a split hair or two. Every once in a while, I simmer the entire offseason when a blatant committee “miss” goes on my score sheet. Last year it was UCLA and Temple; the year before SMU and whomever. First of all, why is Kansas leading the South Region in Louisville (slightly farther than the Midwest Region in Chicago)? Especially when Virginia is a good bit closer and should be in the South. It looks like a consolation prize for Michigan State, which would make sense and would also not be necessary if the Spartans were a No. 1 seed above either Virginia or Oregon. The committee is clearly protecting North Carolina from a potential regional final against Villanova (in Philadelphia) by moving the Wildcats to the South and Xavier to the East. Haven’t we been told for years that the committee doesn’t project matchups? So Michigan State gets desired placement as a No. 2 seed, but the top Big East seeds don't. I don’t get it, unless Rich Kotite got the committee’s mileage chart wet. (Aside: If Michigan State was a No. 1 seed, the committee wouldn’t be stuck flying the Southern/Holy Cross First Four winner to Spokane, Washington, as St. Louis would have been an available and a far more sensible alternative. Further down the bracket, two of the questionable at-large choices -- Vanderbilt (RPI of 61) and Syracuse (RPI of 71) -- won only six of 23 road games combined, including 1-9 against Top 50 teams. That’s not counting the eggs they laid in their respective conference tournaments or their aggregate 6-16 record against the field. Even without player (Vandy) or coach (Syracuse) absences, it’d be asking a lot to turn those records into something respectable. (Another aside: Even with all the known weaknesses of the RPI, do you know how hard it is to have the number Syracuse had given their decent nonconference schedule and an ACC slate? The only way to do it is to lose too many games to the wrong teams. That’s why William & Mary, Stony Brook, Hofstra, Chattanooga, Valparaiso, Little Rock, UNC Wilmington, Yale, Princeton, Akron and, yes, Monmouth all had better RPIs than the Orange. I can only hope this was a case of poor judgment and not power-conference politics -- although neither is a very acceptable answer. Tulsa. I don’t even know what to say. And the committee chair either didn’t have a good answer or wasn’t prepped very well (I’ll concede neither of us has likely slept ...). I have nothing against the Golden Hurricane and know Tulsa as a fine university, but its basketball team lost twice in 12 days (by a combined 32 points) to a Memphis team that was an absolute train wreck all season long. Did the committee lose its cable signal during the American quarterfinals (or, for that matter, during Vanderbilt’s SEC tourney loss to Tennessee)? I really am fine missing teams. St. Bonaventure, Saint Mary’s and San Diego State all had reasons for and against their selection (well, not so much San Diego State). All we ask is that they be replaced by truly worthy alternatives, with a pattern of winning more than losing against tournament-level competition. Otherwise, I’m left to hold my considerably large nose -- since I clearly can’t hold my tongue -- and beg for the return of Greg Shaheen to the selection process. All the committee members and staff are dedicated, but a good team is never great without its best player.